In this view we can see this entrance in more detail. Notice the heavily eroded outer casing. 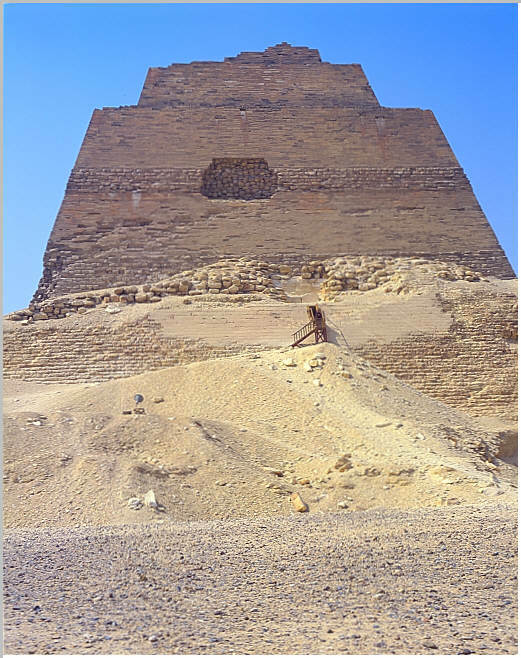 The North face of the pyramid. 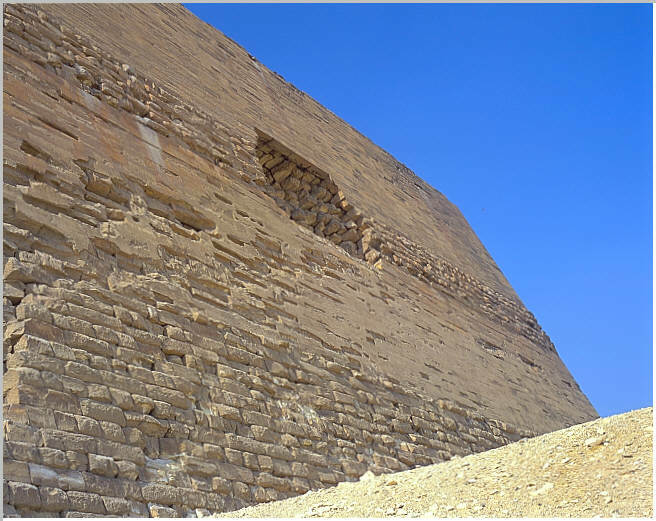 Photographs showing different aspects and details of the north face. In this scene, the stairwell up to the entrance is visible. 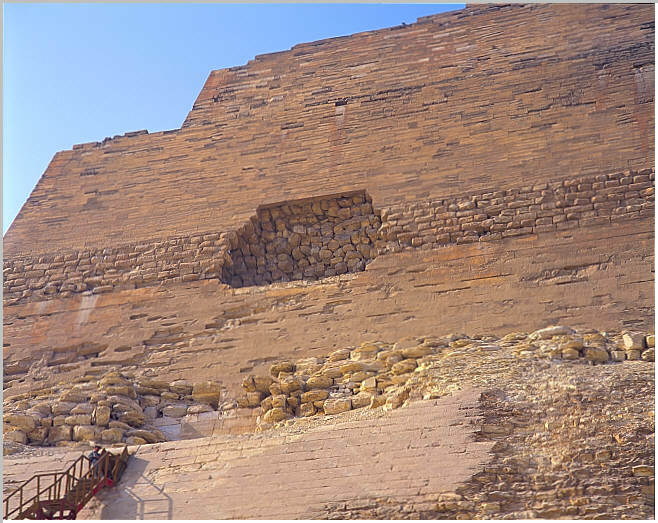 Notice that the entrance is on the outer wall which no longer makes it up the full length of the pyramid. The breech appears to be an early attempt to enter the pyramid. 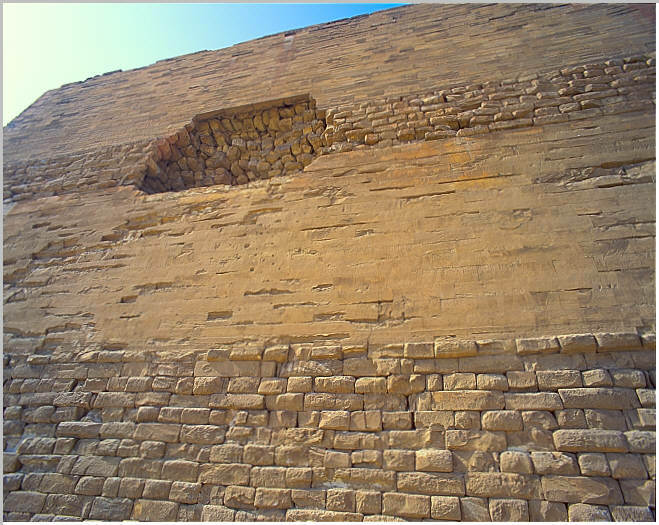 The pyramid walls appear to have been smoothed from top to bottom in two different heights, Apparently the work was not completed. A closer look at the different strata. It is quite from this image that the were somewhat variable in the horizontal dimension. 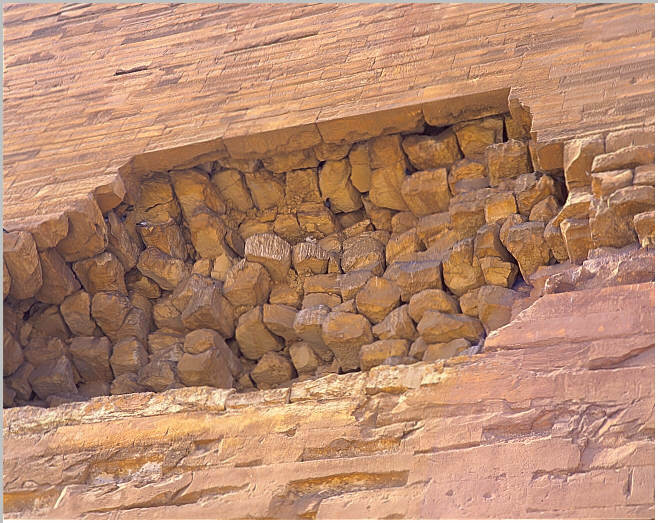 A very detailed view of the breech on the northern face of the pyramid. 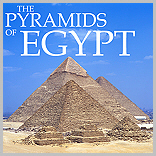 It give some idea of the inner construction of the pyramid. The core block are quite irregular in the size and the placement seems semi-randon. Also notice how the outer casing blocks were anchored to the core. 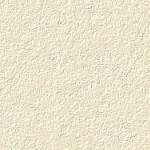 The casing is tilted inwards and the depth is variable giving strength to the bond.